Click on an image to order. Written and edited by renowned leaders in the field, Handbook of Acoustic Accessibility focuses on the acoustic conditions, therapies, and technologies that assist audiologists and teachers of hearing-impaired students in making the speech signal audible, undistorted, and accessible. 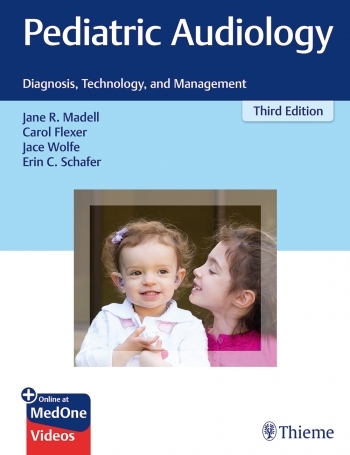 Pediatric Audiology: Diagnosis, Technology, and Management, Third Edition is fully updated with cutting edge topics reflecting the latest advances in the field. 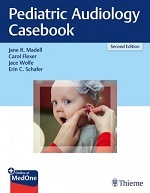 New chapters include hearing and vestibular issues in children, state-of-the-art testing methods for neonates, and longitudinal studies on cochlear implant technology. Renowned experts Jane R. Madell, Carol Flexer and rising stars Jace Wolfe and Erin C. Schafer provide meticulous discussion on all aspects of pediatric audiology -- from underlying pathology and testing to medical, therapeutic, and surgical treatments. Pearls and best practices from a cadre of esteemed experts focus on achieving optimal patient outcomes. The third edition of Children With Hearing Loss: Developing Listening and Talking, Birth to Six provides updated information from the previous two editions. 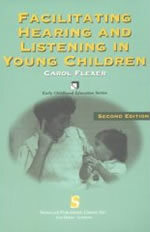 It focuses on brain-based listening and spoken language by featuring auditory brain development, audiologic technologies, auditory skill development, spoken language development, as well as family-focused intervention for young children with hearing loss whose parents have chosen to have them learn to listen and talk. The text remains unique in its scholarly and readable style. Use this book as a a resource to develop reading fluency in all children by developing the auditory feedback loop. 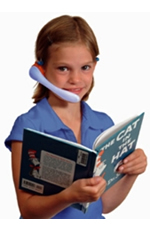 Click here to read a news story about WhisperPhone that appeared on BusinessWire. 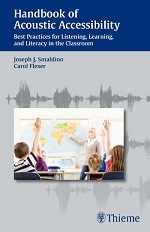 This thoroughly revised edition of a popular classic emphasizes the need to create an "auditory world" for children in which their auditory brain centers continue to develop the neurological and experiential foundations for literacy and learning. A wealth of new, up-to-date information has been added, covering recent developments in amplification technology, cochlear implants, federal legislation, and listening strategies. 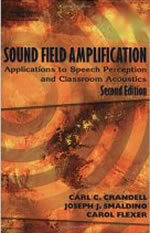 The only communication sciences book devoted to sound field amplification. Both professionals and students will benefit from the presentation of the theoretical foundations of sound field amplification and its practical applications. Readers will appreciate the straightforward and comprehensive approach to topics such as how children "learn" to hear and how acoustics affects the learning ability of all children. The book also provides the information necessary to conduct sound surveys, obtain funding for amplification systems, and act within the parameters of the laws and regulations governing this topic.